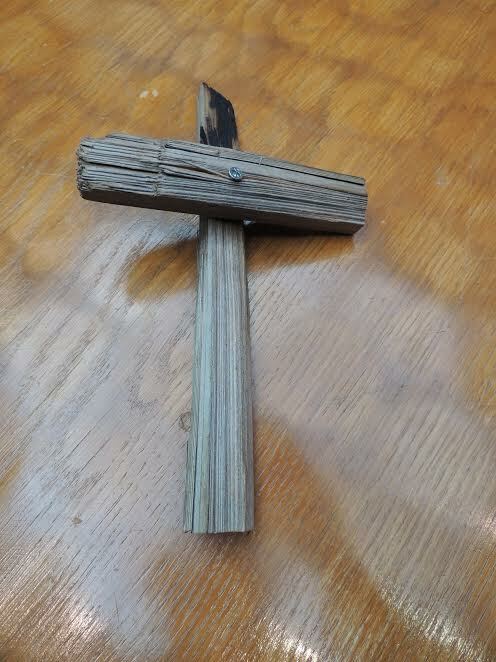 Methodist Minister, Rev, Inderjit Bhogal, made The ‘Lampadusa Cross’ from a wreckage in the refugee Boat Cemetery on the Mediterranean Island of Lampadusa. ‘I took the wood from a refugee boat that sank in the Mediterranean Sea just off Lampadusa Island. On Lampadusa there is what the locals call a “Boat Cemetery”. Many refugee boats that sank near Lampadusa are dumped in this Cemetery. I climbed into one and broke a piece of wood from it and made a cross out of the wood. It can be seen from the cross that the wood is charred from a fire. There are many stories of boats that have caught fire when refugees have lit fires to keep warm. Sometimes these fires go out of control. The refugees try to get away from the fire. The boat becomes unbalanced and tips over. Many refugees have lost their lives on sea while travelling to find safety. Last year over 5000 refugees drowned and died trying to find safety. The cross is a reminder of and a prayer for all who die seeking sanctuary. It is a prayer for an end to war and the violence that forces people to flee places like Syria, Afghanistan, Somalia, South Sudan and Sudan for safety. Inderjit Bhogal is a Methodist Minister and former President of the Methodist Conference. He is President of the Methodist Peace fellowship, and founder of City of Sanctuary.